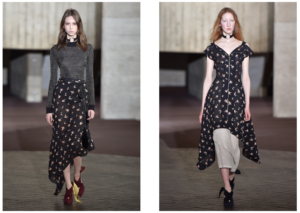 This week, Roland Mouret releases the latest collection, Fleurs de Nuit. 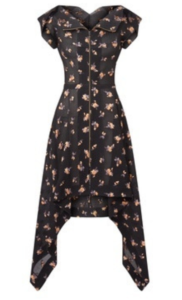 With a grungy, but still feminine feel, we love this one, and it is perfect for adding into your autumn wardrobe. Find out more about the pieces below. 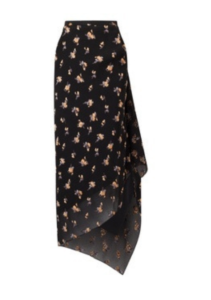 The skirt version of the Oakham Dress, the Petworth Skirt in semi-transparent black floral chevron fils coupe gives you a multitude of options for styling for day or night, to the disco or to a wedding. The asymmetric hemline and modern, slightly unstructured fit allow movement and comfort making this a treasured separates piece for the season. Romance and Roland, two words that are embodied in the Cranfield Dress. Light and breezy black floral chevron fils coupe marries effortlessly with one of Roland Mouret's signature gold zips in the front. An A-line skirt, handkerchief hemline, and loose cap sleeves paired with this unique fabric bring the Belle Epoque into the 21st century.